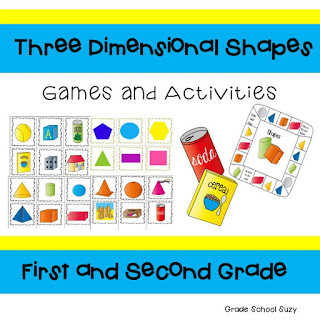 Do you need some activities for your students to learn three dimensional shapes? I have made a great practice packet for your students to use. I use this packet through out the year. I use it when I introduce three dimensional shapes. Later I use it to review the skill. I teach three dimensional shapes at the beginning of the year. We take the NWEA during the year. I want my student to remember their shapes. They really enjoy playing the games. Click on the picture to go to activities. Do you need some winter activities? Here is another great activity from the Winter Bundle. If you would like to check it out click on the picture. Are you looking for resources for the winter months? Here is a great resource to buy. 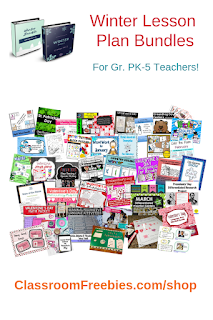 It is loaded with lots of different activities to keep your students engaged. 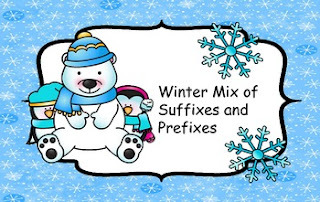 One of the resources I am planning to use is Winter Idioms and Vocabulary. I haven't introduced idioms to my students yet. This fits in great right now because we are having all kinds of winter weather. I will use the cards and then have the students illustrate what that card really means. Click on the picture to go to the resources. I hate making substitute plans. I usually just leave a big pile of papers for the sub. At the beginning of the year we are required to turn in a sub folder. I just put lots of copies in the folder. Most of the time I end up with more students and their isn't enough papers in the folder. I would like to find a better plan. I am taking a free workshop for making substitute plans. I am very excited to take it! If you would like to sign up click on the picture to take you to the link. It's getting close to going back to school after Christmas break. I like to start like it's the beginning of the year with our rules. We discuss the rules and do activities with the rules. We also go over the procedures of the classroom. I created a small unit on TPT. Click here if you would like to see it! Hello, everyone! It has been awhile since I have wrote anything. Last year I went to Get Your Teach On. They inspired me to do more STEM activities in my classroom. I got Brooke Brown's STEM boxes. They were a great addition to my class. The students used them in the morning. I was able to do a group because they were so involved with the boxes. Then I was lucky to get my Donor's Choice founded and we received more STEM materials. Here are a few pictures of the students in action.